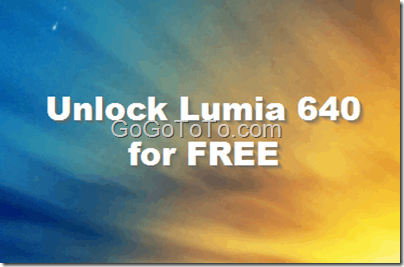 We posted How to Unlock AT&T Phone For Free from Outside the United States previously. Today we are going to show a real unlock process using a real AT&T phone which was purchased from United States. We mentioned that unlocking an AT&T phone was simple because AT&T officially releases a unlock code to customers. However, we got to know there were some customers still did not unlock successfully, some customer’s AT&T phones even became bricks. So maybe it is good if we can share our real unlock process since we unlocked an AT&T phone successfully. During the holiday season such as in Christmas holiday, we might meet great deals in United States stores or retailers websites. For example, the smart phones, comparing Canada and US, the selling prices might be more different, they are cheaper in US. So, Canadian like to buy a smart phone from US, actually, the price might not the only reason, some models of phones are only sold in US. Your phone is locked or unlocked ? 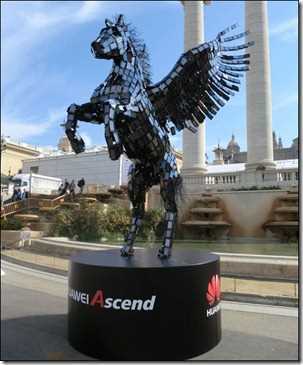 When we buy a phone from US, we should know most of phones are locked by US telecommunication service providers, so when you buy a phone from US and you know you will not use it in US in most of time, either you buy a unlocked phone, or you know you will have a way to unlock the phone when you go back to your country (pay extra money to buy a unlocked code maybe); even if you are a US resident, you might still want to unlock the phone since you might change your phone service company. However, we know at least there is a telecommunication service provider in US called AT&T will provide officially unlock code or other unlock services for their customers or phone buyers FOR FREE! Nokia Numia 900 $524.99 CAD ? Some message from Mobilesyrup and Redflagdeals, seems the Nokia Numia 900 Windows phone will lives on Canada Rogers on April 10, 2012. If Roger’s no-term price will be really $524.99, then another telecommunication carrier Telus.ca should adjust the price for their Nokia Numia 800, they are still selling Lumia 800 at $529.99. 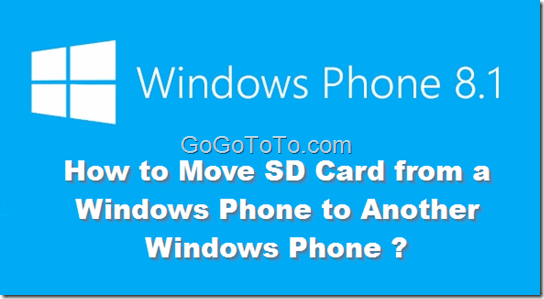 Microsoft said : iPhone is dead, because Windows Phone 7 killed it. 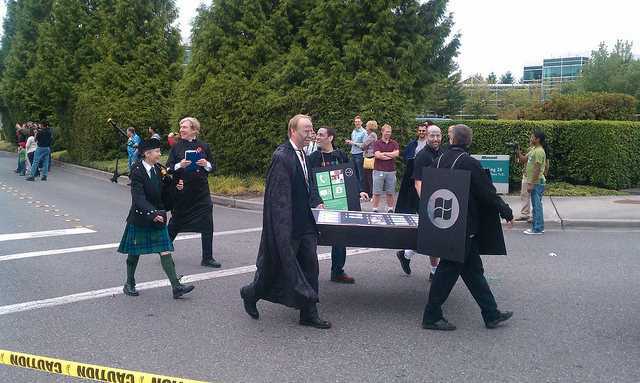 Microsoft had a funeral parade for iPhone while celebrates Windows Phone 7 RTM . Microsoft employers celebrated the release to manufacturing of Windows Phone 7 by parading through their Redmond campus on Friday with iPhone and BlackBerry hearses.